The Trump administration's plans to directly intervene in power markets to prop up economically struggling coal-fired and nuclear power plants have been "shelved" for now, Politico reported last night. 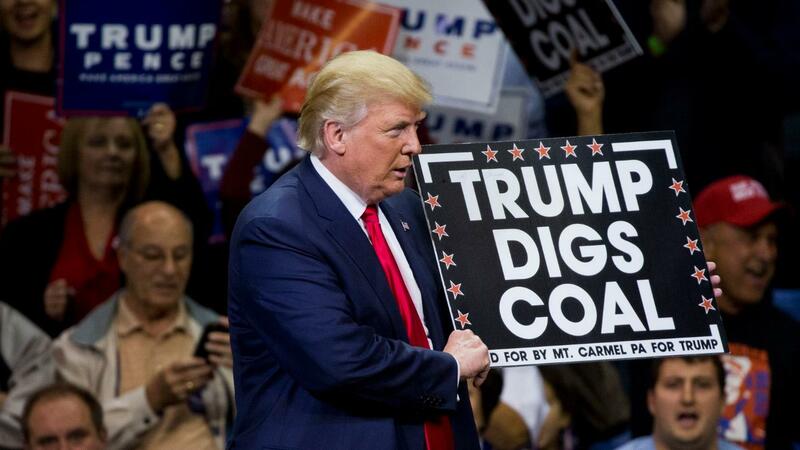 Why it matters: The story underscores the challenge of finding legally and politically viable policy levers to directly keep these plants afloat, even as the White House pushes ahead with efforts to aid the coal sector by scaling back Obama-era pollution rules. Where it stands: An Energy Department-led effort has been seeking ways to use sweeping federal national security powers to aid plants facing severe market pressures from cheap natural gas, renewables and regulations. "But the White House has shelved the plan amid opposition from the president’s own advisers on the National Security Council and National Economic Council," Politico reports, citing 4 sources with "knowledge of the discussions." The intrigue: Politico reports that one of Energy Secretary Rick Perry’s biggest problems is "figuring out who would pay the billions of dollars needed to keep money-losing power plants operating" and the prospect of the plan raising consumer costs. The big picture: The administration — in an argument hotly disputed by numerous experts — says that it's essential to aid these coal and nuclear plants to ensure grid reliability, especially as officials review gas pipelines' vulnerability to cyber and physical attacks. The White House did not comment when contacted by Axios last night. "The Trump administration is considering using West Coast military bases or other federal properties as transit points for shipments of U.S. coal and natural gas to Asia, as officials seek to bolster the domestic energy industry and circumvent environmental opposition to fossil fuel exports."